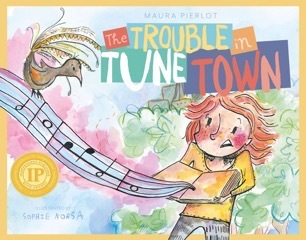 The Trouble in Tune Town is a fun, colouring rhyming book that invites readers to step inside the experience of music, both from the notes' perspective and also that of a young performer. Meg is Tune Town's best music performer, but she's having trouble rehearsing. So much trouble, in fact, that the notes have run right off the sheet! Can Meg find the notes in time for her big concert? Or are they closer to home than she thought? Themes: perseverance, resilience, self-belief, belonging.